Queniborough’s hopes of defending their Sunday league title were dealt a further blow when they fell to their second successive defeat. 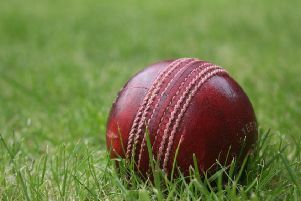 Having held a lead of more than 50 points in the Grantham and Melton Association Premier, Queniborough saw their advantage cut to just 15 points after a 55-run loss at closest rivals Hinckley. Having won the toss, the hosts batted first and posted a large total of 246-8 from their 40 overs despite good spells from Uday Bopadara (2 for 23) and two-wicket hauls from Jams Vamplew and Praful Keahwala. Queni opener Max Carmichael anchored the reply with 104, but received little support with Hayden Whitaker (31) the only other batsman to make it past 15 as the visitors were bowled out for 191 in 33 overs. Ashby Carington remained in the bottom two after a narrow two-wicket defeat at home to Houghton-on-the-Hill. Martin Troop hit 53 and Veera Gundubogula 29 as Ashby were bowled out for 175. James Troop made it a good day for the family by taking 4 for 42 in the reply, but the visitors squeezed over the line. * In Division One, in-form Thorpe Arnold moved up to third as they saw off Queniborough’s Second XI by 33 runs. The home side elected to bat first and started well through Josh Blunt (53), Charlie Read (21) Richard Garner (40). But there was little support down the order as Thorpe were dismissed for 165 in 37 overs, Hari Prasad Mallipuli (4 for 15) starring with the ball. Jass Singh made 78 in reply, but when he was bowled by Blunt (3 for 19), Queniborough offered little further resistance as Jaimin Mistry (4 for 45) helped bowl out the visitors for 132. Elsewhere Louis Massarella (50 not out) and Adam Buckby (47 not out) steered Ashby Seconds to a nervy five-wicket win at Rothley Park in a low-scoring match, while Barkby were comfortably beaten at home by leaders Empingham. Tom Cooper hammered an unbeaten 110 for the visitors in a total of 262-6, and Barkby could only reach 170-4 in reply despite an unbeaten 73 from Dan Lever. Half-centuries from Charlie Taylor (54) and Yash Patel (65) helped put a little daylight between Syston Town and the bottom two. Replying to Sileby’s 192-5, the visitors reached their target with just two wickets and three balls in hand and now sit 25 points clear of second-bottom Queniborough. * In Division Three, strugglers Sproxton sprang an upset by winning at table-topping Bottesford. A knock of 61 from skipper Daniel Barratt and 36 from Aaron Charlesworth helped the hosts to a total of 162-6, with Simon Naylor checking their progress with 3 for 23. Opener Ben Ryder was the star of the reply, hitting an unbeaten 81, with support from skipper Naylor (40) as second-bottom Sproxton got home by seven wickets with almost nine overs in hand.